Enbloc Ltd provide specialist Cleanroom and Laboratory deep cleaning services throughout the UK. 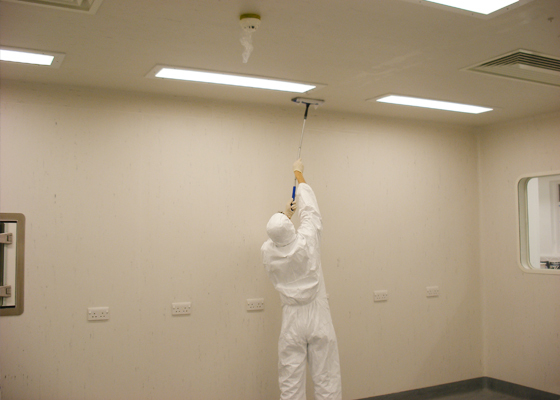 We are a specialist cleanroom and laboratory company and as such we only carry out deep cleaning activities to these environments, we do not offer standard commercial or office cleaning. We have developed an online quotation feature. By filling in the adjacent form and clicking submit an instant quote will be generated and forwarded to your email address provided. Should the email not arrive please check your email address and resubmit. The quote shouldn’t take more than a few minutes to arrive in your inbox. If you have multiple rooms of the same classification please add the room areas together and submit as a total area. Please rest assured that we do not share your data with a 3rd party. We consider monitoring, control and quality of our deep cleaning services paramount to ensuring the necessary result, therefore we only use in-house staff and do not use sub-contractors for any cleaning activities. We can carry out deep cleans in accordance with our Client’s particular specifications or we can develop, write and execute bespoke validation protocols for individual facilities.